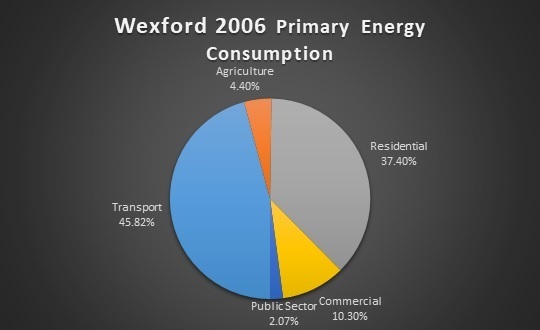 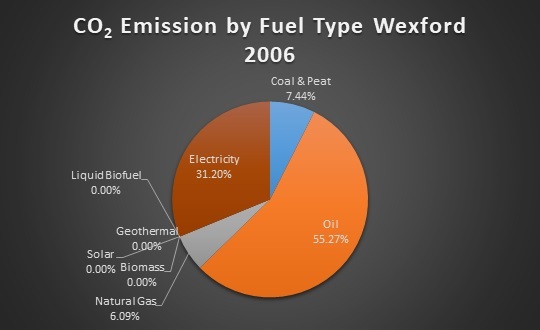 The County of Wexford consumed 3,389 GWh of primary energy in 2006. 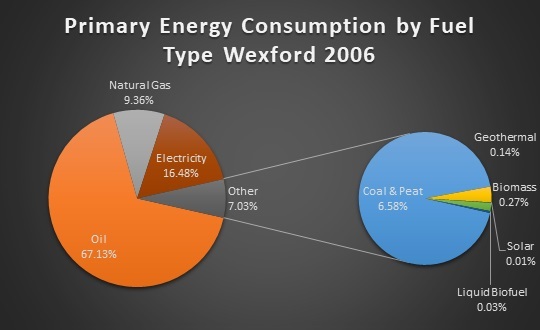 Oil was the largest energy fuel type consumed, at 67.13% of fuel total, followed by Electricity at 16.48%, Natural Gas at 9.36% and Coal and Peat at 6.58%. 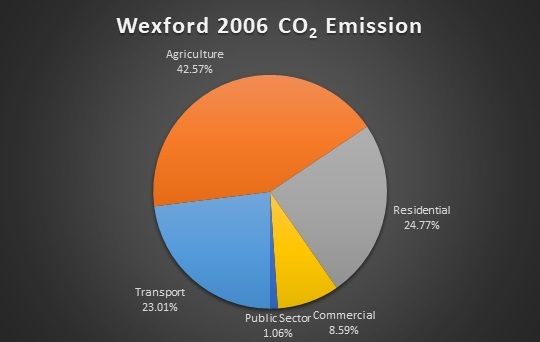 The County emitted 1,743 ktonnes of Carbon Dioxide (CO2) in 2006.